Board Members in attendance were: Rob Frits, Judy Hammond, Nancy Brown, George Kelly, Tommy Hensen, Jerry Martin, Ralph Gresham, Rob Stark and Glenn Jones. Also in attendance were Alicia Hines, Treasurer; John Duke, Property Manager, and Matt Baker, ARC. The meeting was called to order at 6:29 p.m. by Rob Frits. Resident John Shankles voiced his concern over people running the stop sign by the pool and driving the wrong way from Coyote Crossing in front of the pool entrance to Tall Oaks Loop N. Mr. Shankles requested that the board consider installing larger stop signs and one-way signs. Rob Frits responded that he will send another reminder email blast. And he asked John Duke to get a cost for larger, additional signs. Matt Baker asked the board to check the metal railing on the bridges. They are rusting and need attention and repair. George Kelly noted that he observed the Arkansas Highway and Transportation Department making a structural inspection of the bridges. But it would probably be the board’s responsibility to keep up cosmetic appearances. New Business: presented by Rob Frits. Rob Frits appointed Don Rutledge to the ARC. Board members terms – none are scheduled to expire this year. Terms should be stagger so that there are some expired every year and some new added. To correct this, George Kelly and Nancy Brown, due to expire in 2014 will now expire in 2013. Movie Night in the Park – Judy Hammond requested the board to authorize the expenditure of $1200.00 for 3 movie nights next summer. She estimates each movie to be $300.00 to $400.00 for licenses, fees, and other expenses. This would be considered ‘miscellaneous social’ for accounting purposes. Rob Frits added that requests for budgeted items needs to be turned in for consideration in the next two weeks in order to prepare next year’s budget. Christmas Lights – Jerry Martin sent an email to board members ‘ to consider outlining the roof of the pavilion in Crumpacker Park with lights and wrap the light posts with lights similar to what is done in Founder’s Park.’ In addition, we talked about outlining the roof of the pool house and adding lights to the lamp posts on the entrance roads to the community.’ John Duke presented a bid from ‘Get Lit’ on a three year contract of $7800.00 up front, which included the initial cost of the lights, and $3183.00 for the second and third year. This bid includes installation, service, take down, and storage of the lights. Ralph Gresham moved, seconded by Rob Stark to accept the above contract with ‘Get Lit’ and have the Christmas lights on from the day after Thanksgiving until New Year’s Day. The motion passed 9-0. Secretary’s Report: presented by Nancy Brown. 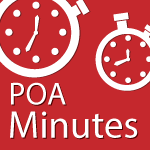 The August 2012 POA Minutes were previously emailed to board members for their review. Judy Hammond moved to approve the August 2012 Minutes, seconded by Jerry Martin. The motion passed 9-0. Treasurer’s Report: presented by Alicia Hines. Alicia previously email the financial reports to all board members and included the following comments: ” I have attached the August financials for your review. Water bill – the bulk is the water for the park meter – I am not sure if the duck pond was filled. Electric bill – the bulk is the electricity for the pumps. For the past 5 years, the budget for the pool has been set at $15,000 with not much detail to back it up. I really think we will need to increase that amount for the next year. We seem to open the pool earlier and keep it open later so we have pool labor that continues to increase. The pool attendants make $7.25 (min wage) per hour and the pool manager makes a total of $4000 for the months of June, July, August and September. We were also hit with an extra $1400 this year since the bill for pool housekeeping for 2011 was not turned in until February. I am going to mention to John that the cleaning bill for this year needs to be turned in asap so the record keeping will be done in the correct year. The bulk of maintenance expense was paying Dale Creamer for the watering of trees for July & August. The budget for 2013 needs to be approved at the October board meeting. Judy Hammond made a motion to approved the financial reports, seconded by George Kelly. The motion passed 9-0. Property Managers Report: presented by John Duke. McGill and Dancing Rabbit Improvement – Top soil/sod. Per Alicia Hines, cost should be taken from capital improvements or cash account. Handout at meeting: bids for McGill/Dancing Rabbit improvements. Landscape Earth – $2780.00 (does not include sod on entry island, top soil only.) Center island definitely needs sod. Jerry Martin moved to accept All Around Landscaping’s bid. seconded by rob Stark with the addition to add two trees, soil, and sod to the islands, not to exceed $4000.00 the motion passed 9-0. Alicia Hines added that the cost for this should be taken out of capital improvements. Judy Hammond moved to purchase another waste station for Apple Shed Park, seconded by Ralph Gresham. The motion passes 7-2. Lawn Maintenance Bids for 2013 through 2015. All Around – $87,290.00 (excludes removing trees greater than 3″caliper and natural disaster. John Duke is to get a price for trees under 3-4 inches and over 5-6 inches. Discussion and decision were tabled until the next meeting. Lawn Fertilizer/Weed Control Bids, including tax, for 2013 through 2015, prices are for each year for a total of three years. Judy Hammond moved to sign with Scott’s and pay for the entire year each January, seconded by Nancy Brown. The motion passed 9-0. POA continuing to replace the Resident street trees? Cut down dead trees for Residential Residents? POA to begin replacing Commercial Resident street trees? Cut down dead trees for Commercial Residents? Setting meeting with traffic committee to discuss options. i. John is meeting with Tommy Hensen next week to map out areas. Pool House Improvement Discussion – will table until next meeting. Soliciting Bids: John plans to have handout with pictures at the next board meeting. Rob Frits added that our insurance policy is due for renewal with Walker Brothers Insurance. They have sent a new proposal for our consideration. John Duke will forward it to board members for our review prior to the next meeting. Architectural Committee Report: presented by Judy Hammond. Security and Neighborhood Watch Committee: presented by Tommy Hensen. There was some vandalism in the alleys of the 6600 block Firefly Catch. Rob Fritz asked Tena McLeod to contact the police concerning this matter. Mary Schmidt is not going to do the Neighborhood Watch Program. Landscape and Facilities Committee: presented by George Kelly. The biggest question is what to do about the street trees. George Kelly passed out the HBM Tree Inventory Review. Due to time constraints, we were unable to discuss this a tonight’s meeting. However, a special meeting has been scheduled on Oct. 9, 2012 to discuss and come to a decision concerning our tree problem. John Duke is to get some quotes for tree replacement. George stated that we need to remove 88 trees and determine if they need to be replaced. With no further business, Judy Hammond moved, seconded by Nancy Brown to adjourn the meeting. The meeting was adjourned at 8:30 p.m.
Respectfully submitted this 22nd day of October 2012.